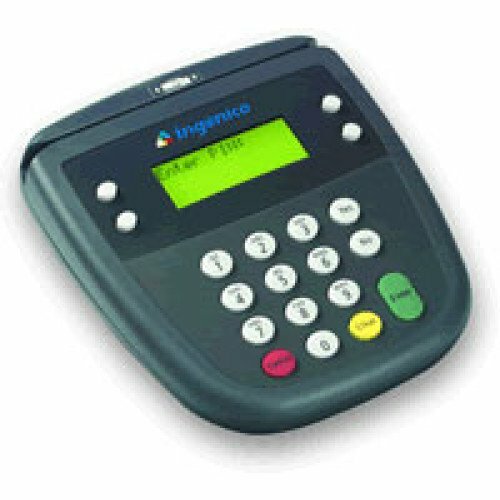 Ingenico eN-Crypt 2100 Payment Terminal - Big Sales, Big Inventory and Same Day Shipping! A dynamic, modular and rugged consumer-activated POS payment terminal for use at retail checkouts and bank branch teller windows, the eN-Crypt 2100 enables consumers to intuitively select from payment types in use today and is upgradeable to the payment types they will need tomorrow. Retailers and financial institutions appreciate it for its flexibility and ability to adapt to their ever-changing payment requirements. The eN-Crypt 2100 is highly cost-effective to implement. And it offers the security features for which Ingenico is renowned. eN-Crypt 2100, KIT, OPOS Cable, Power supply, nonencrypted. Requires key injection in order to accept debit or credit card payments. Please call for more information. eN-Crypt 2100, Kit, OPOS Cable, Power supply, encrypted for PAY TEC. Requires key injection in order to accept debit or credit card payments. Please call for more information.